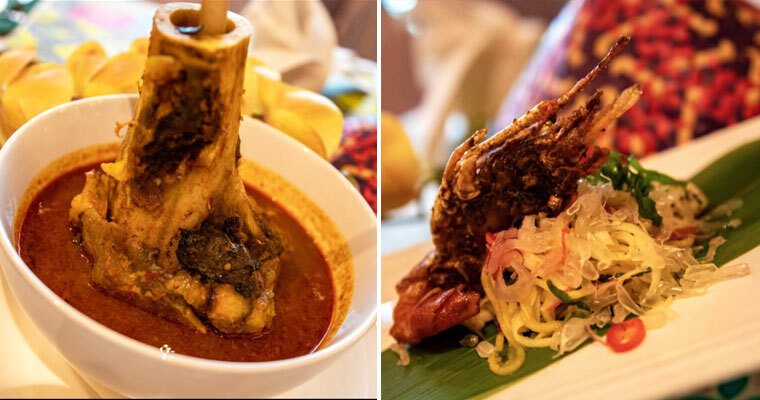 Over 400 Dishes Including a Mouth-Watering Assam Pedas Gearbox? 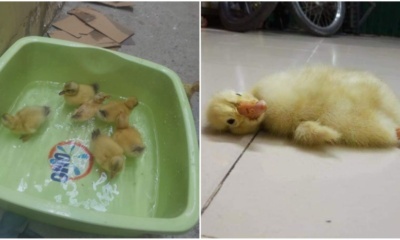 This Must Be THE Best Buffet Ever! 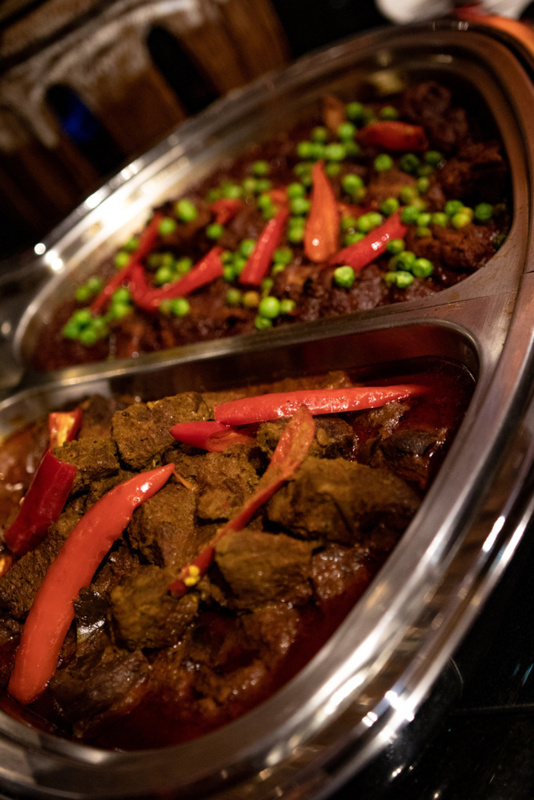 A taste of nostalgic flavours and recipes using traditional ingredients and methods served on a luscious buffet spread? 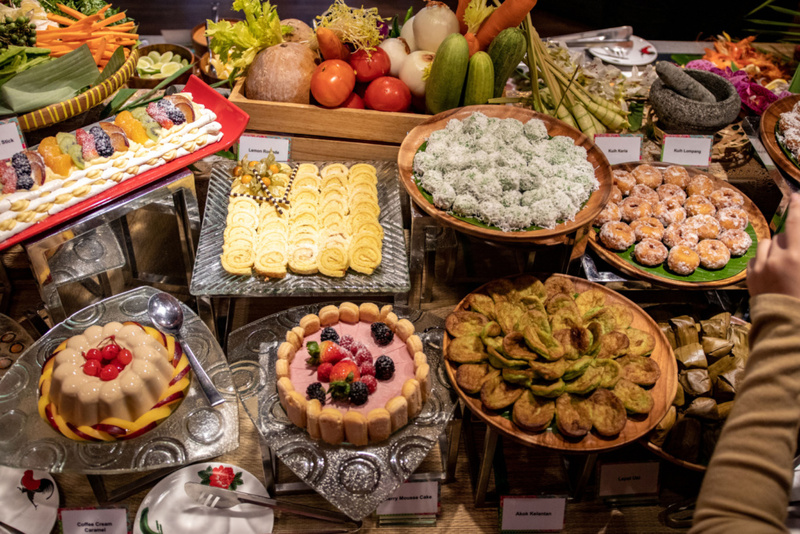 That is exactly the culinary experience we enjoyed when we attended the media preview of Sunway Resort Hotel and Spa‘s latest buffet offerings. 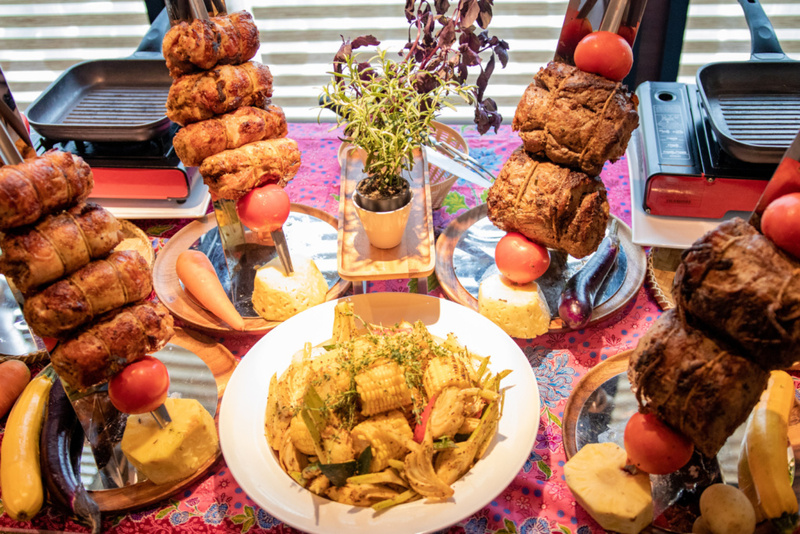 Featuring a jaw-dropping selection of over 400 dishes with a total of 10 unique live-action cooking stalls, we were definitely spoilt for choice. From Churrascos to Kambing Golek with a unique serving of Assam Pedas Gearbox thrown into the mix, it was literally food haven! A what gearbox now? 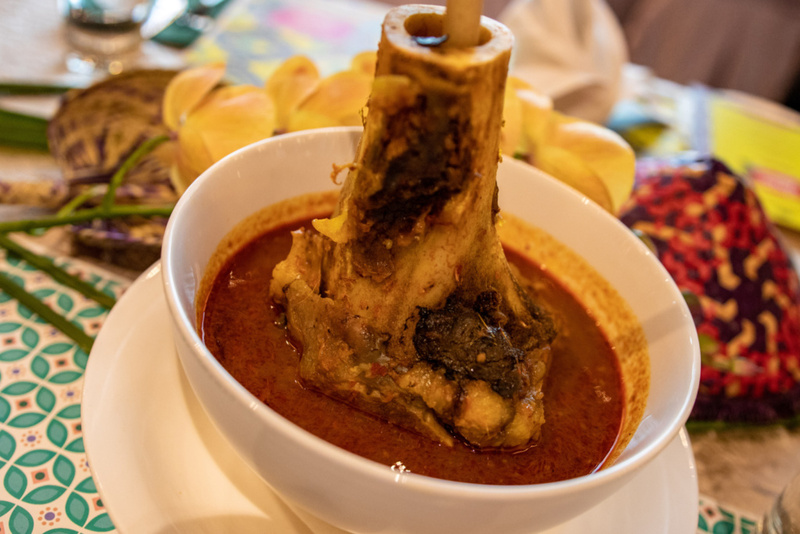 The ever so popular Malaysian broth made out of a cow’s bone marrow is given a makeover here by adding some spiciness of assam pedas, another popular local dish. Combining two familiar tastes into one extraordinary fusion of flavours really caught us off guard, especially the audacity of trying to combine two local favourites. 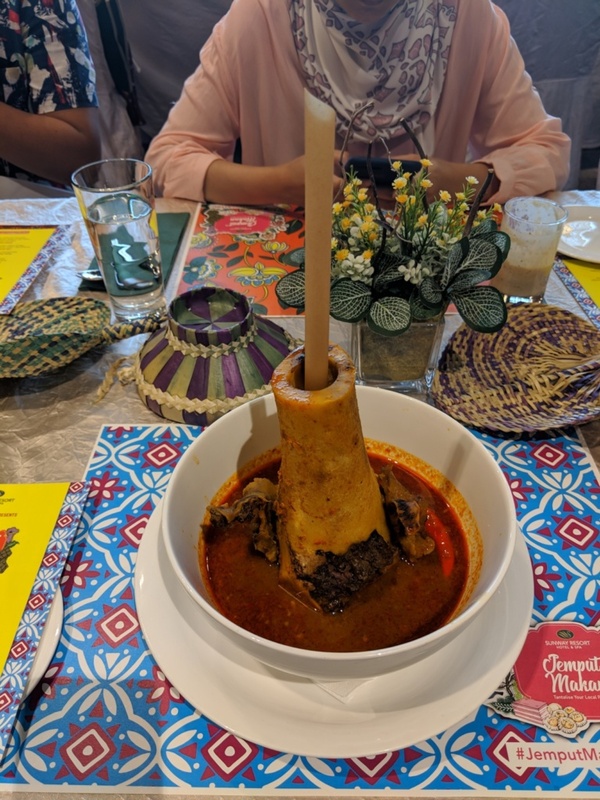 Amazingly, the fusion worked gloriously as we couldn’t get enough of the spicy, savoury soup as well as the yummy succulent innards of the bone marrow! The chefs of The Resort Cafe at Sunway Resort Hotel and Spa really outdid themselves here, as we later found out that the dish was cooked with bone marrow pieces over a slow fire for eight hours and then served from a large cauldron which created the visual and aromatic culinary treat that was presented before us. 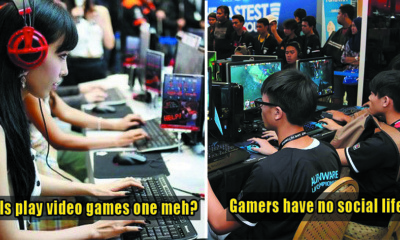 Woah, such hard work! Kudos to the chefs for trying out something so bold. The taste really is something you should test out yourself! 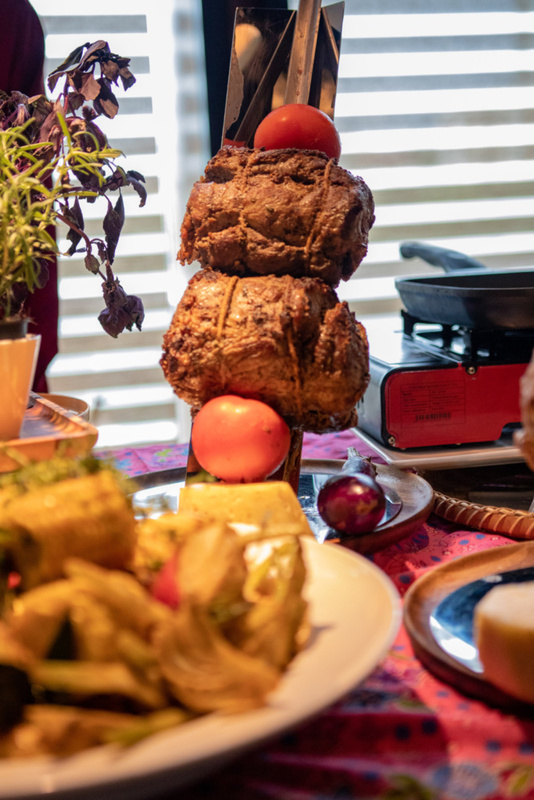 Featuring a variety of tender and juicy grilled-to-perfection meats, fresh vegetables, and fruits, the Churrasco Station is a wonderland for those craving all-you-can-eat grilled beef, chicken and lamb. 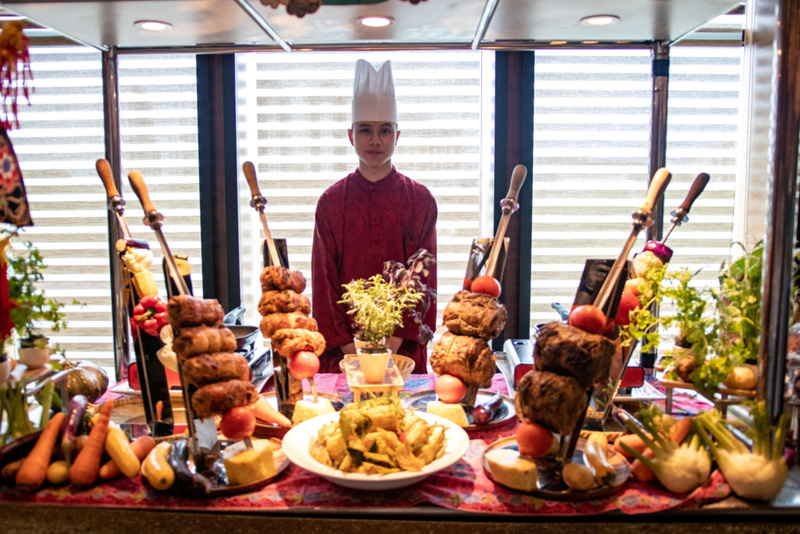 There’s also a wide selection of Middle East offerings such as Minced Chicken Kebab, Minced Seafood Kofta Kebab and more. Just look at those tender juicy meats weh! 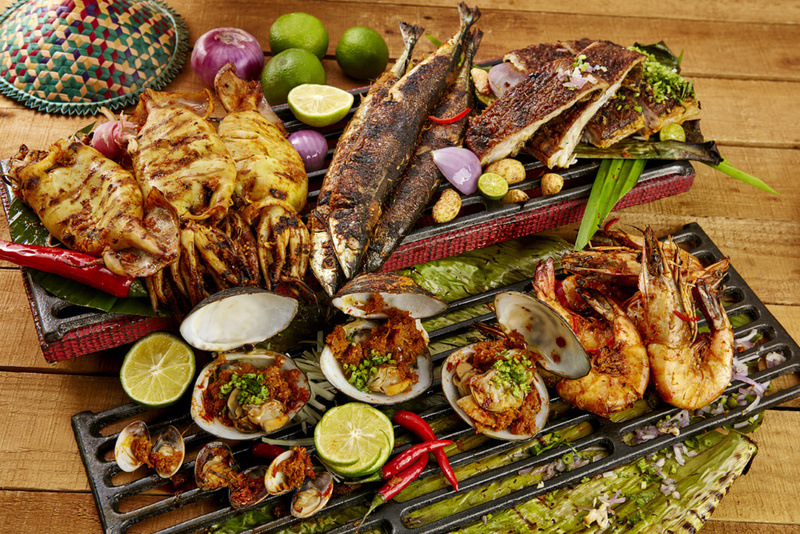 The Seafood Bakar Station, as the name would suggest, gives you a stupendous range of fresh seafood that will be grilled on the spot by the chef on duty! 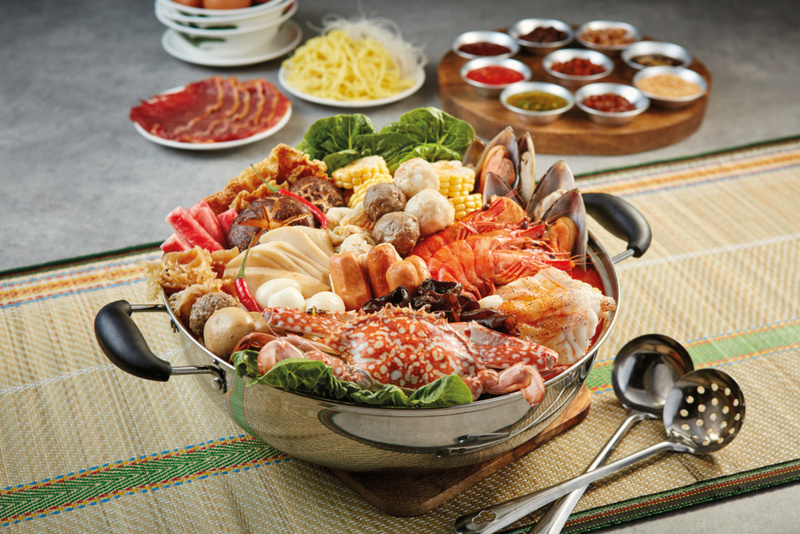 From local favourite fishes such as Ikan Pari and Ikan Kembong to Hokkaido Squids, Prawns, Kupang, Clams and more, you’ll confirm be spoilt for choice! 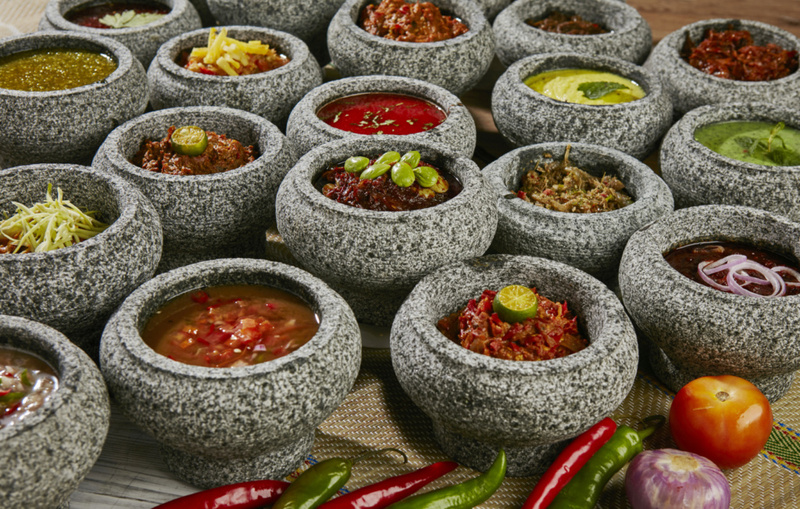 Furthermore, you can dip your grilled seafood into a variety of home-made sambals, which amplifies the taste. Savoury and delicious in variety! 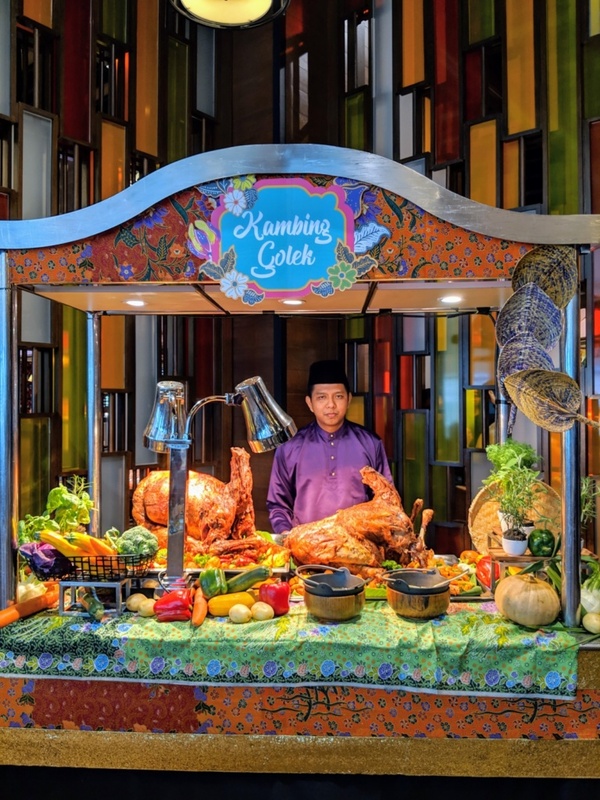 What’s more Malaysian than a Kambing Golek Station right? 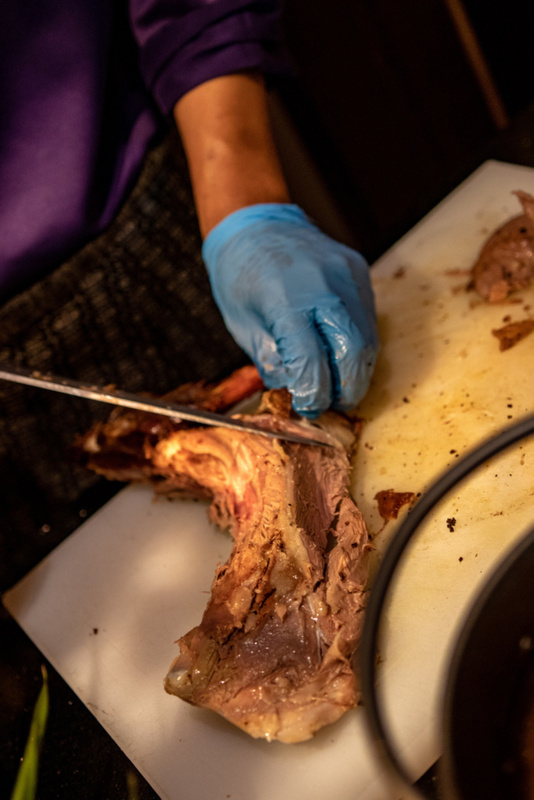 Featuring a whole lamb, the chef on duty will slice the succulent meat directly onto your plate. 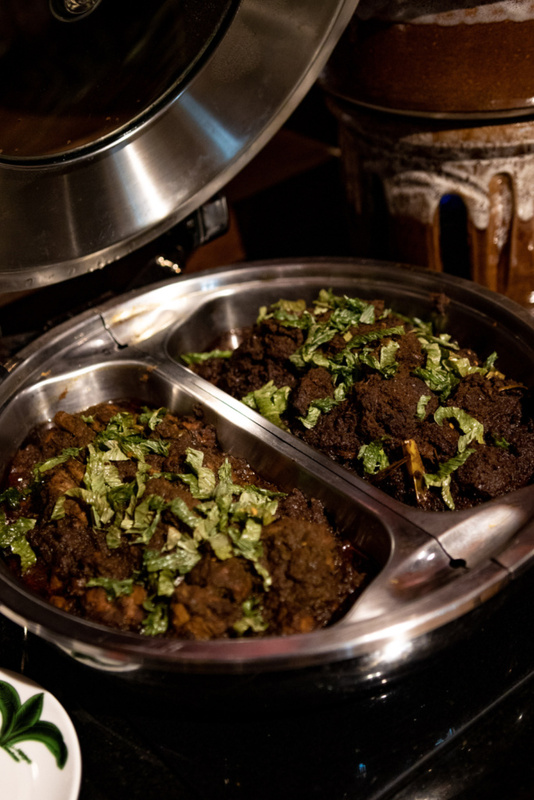 The lamb itself was marinated overnight with over 25 different local spices and mixed herbs such as old ginger, garlic, lemongrass, galangal, salt, masala, coriander, yogurt, mint leaves, and cumin powder before slowly roasting for four hours to retain its moisture, producing a tender and juicy meat for your pleasure. 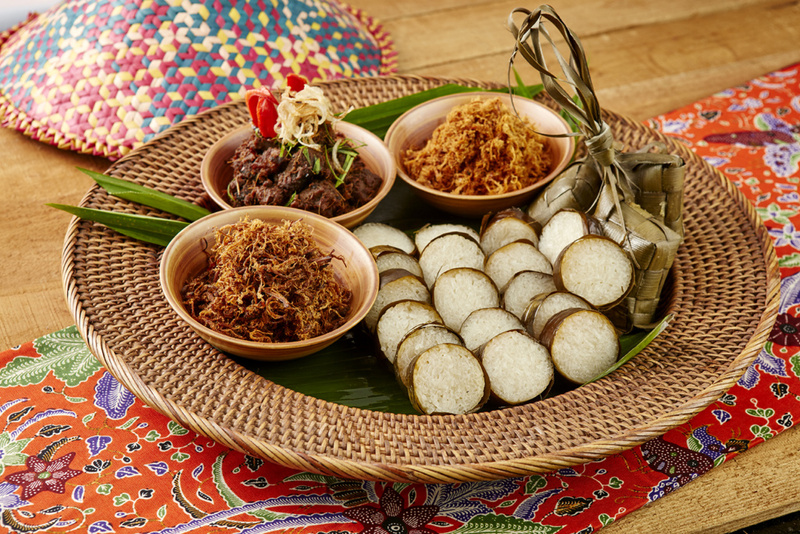 There’s also a whopping 25 types of homemade sambals for you to dip your fresh kambing golek slices into, which will confirm have you kambing back for seconds after finishing your first plate. 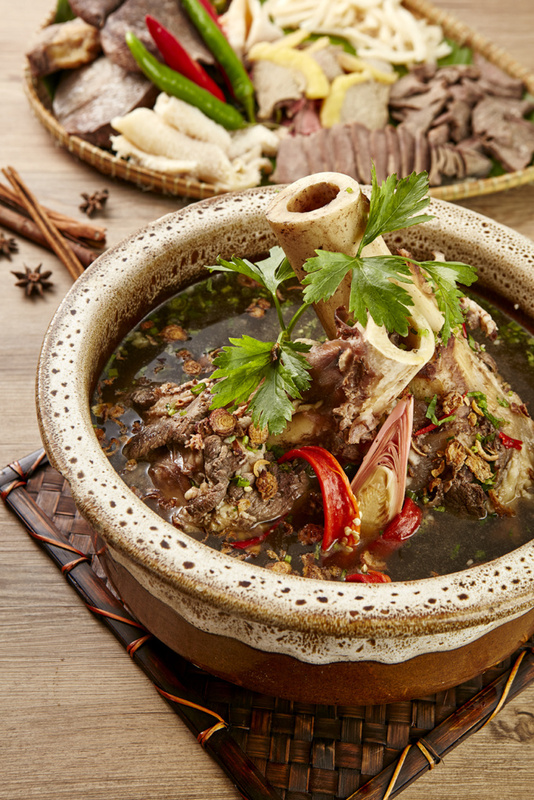 The Warisan Station features some of Malaysia’s all-time favourite traditional and timeless dishes such as Rendang Tok, Serunding, Bubur Lambuk, Lemang Bakar and Ketupat. 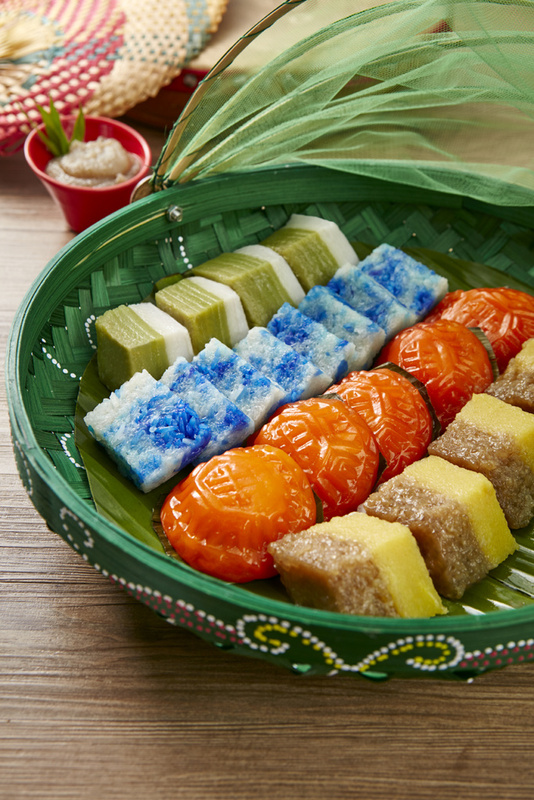 Tasting these really took us on a nostalgic journey reminiscing the times when we balik kampung for Hari Raya! Our parents confirm will have flashbacks of their youths when they have a bite of these flavourful dishes. 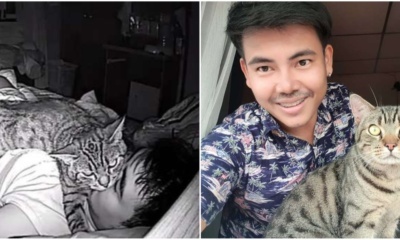 Are you a noodle lover? Well, you’re also in for a treat as local favourites such as fried kway teow and mee goreng are prepared on the spot as well a variety of soup and gravy-based noodles at the Noodle Station. These include Nyonya Laksa Lemak, Assam Laksa, Prawn Mee and Wonton Mee Soup. 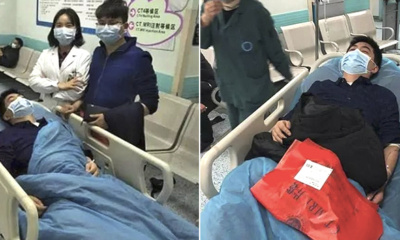 Here, you’ll be able to select your own choice of noodles which the chef will then blanch in boiling water before pouring the hot flavourful broth and topping it with fresh garnish! 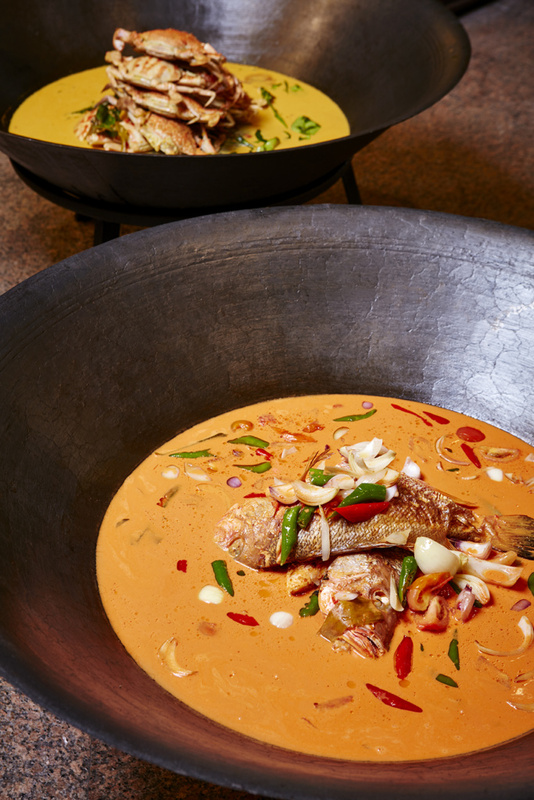 Featuring a selection of Gulai Kawah that’s served in super-large cauldrons, there will be a selection of 2 or 3 Gulai Kawah served nightly from 8 rotational varieties! 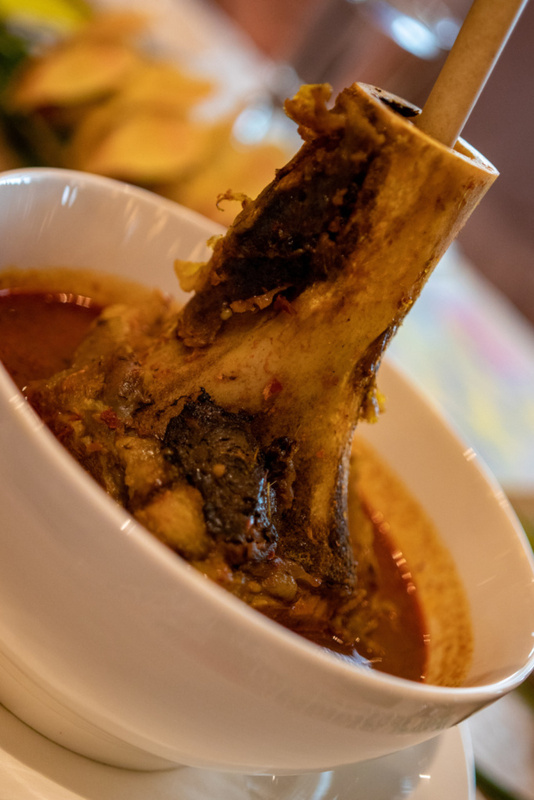 The list of Gulai Kawah on offer comprises of Gulai Ayam Kampung, Gulai Ikan Tenggiri, Gulai Ayam Lengkus, Gulai Ikan Siakap Kepak, Gulai Daging, Gulai Kambing, Gulai Ikan Pali and Gulai Nangka Muda. 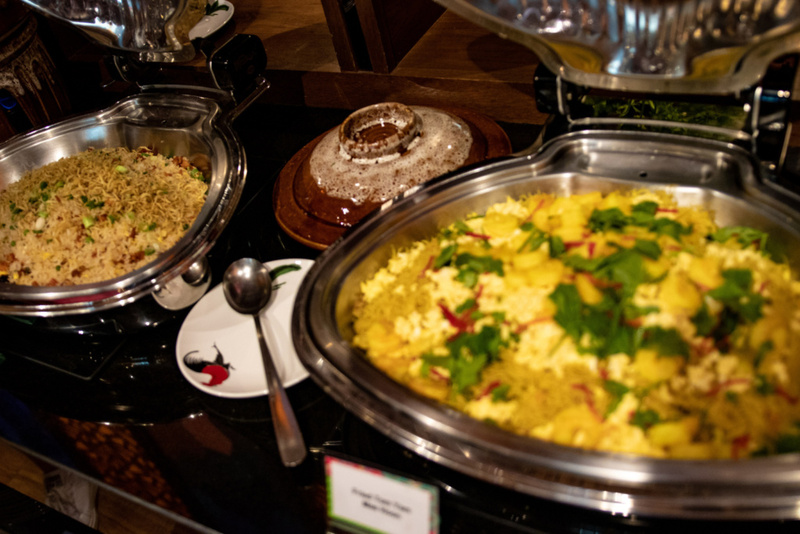 In the Nasi Station, 9 varieties of speciality rice dishes are on offer including the must-try for the season, the Stuffed Quail Biryani – a popular Biryani dish especially amongst those who love quail. The dish is prepared with flavourful Biryani Rice stuffed in quail meat which has been marinated for a few hours with numerous aromatic spices, yogurt and herbs. 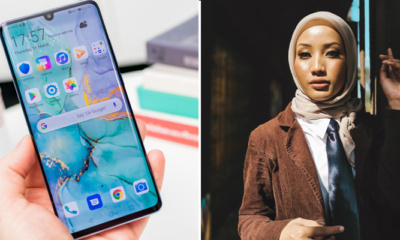 Besides that, there are also other speciality rice dishes on rotation nightly which include the Nasi Bukhari, Nasi Hujan Panas, Oriental Rice, Steamed Rice, Nasi Minyak, and a selection of Middle Eastern preparation like the Nasi Mandi, Maqluba and Kabsa. 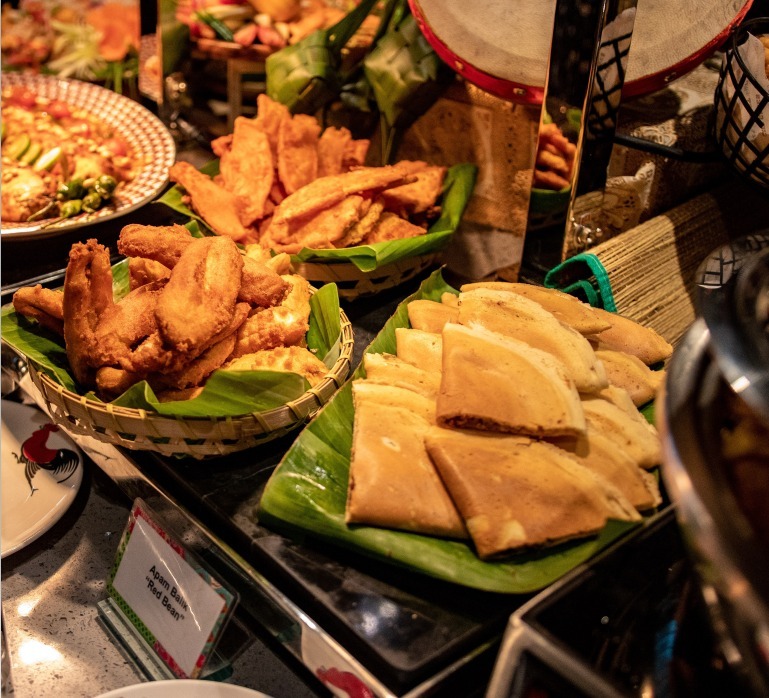 Featuring some of Malaysians’ favourite tea-time snacks, the Goreng-goreng Station offers you popular snacks like the Goreng Pisang, Cempedak Goreng, Keropok Lekor, Karipap, Ubi Keladi, Ubi Keledek and much more! Of course, who doesn’t love some satay right? 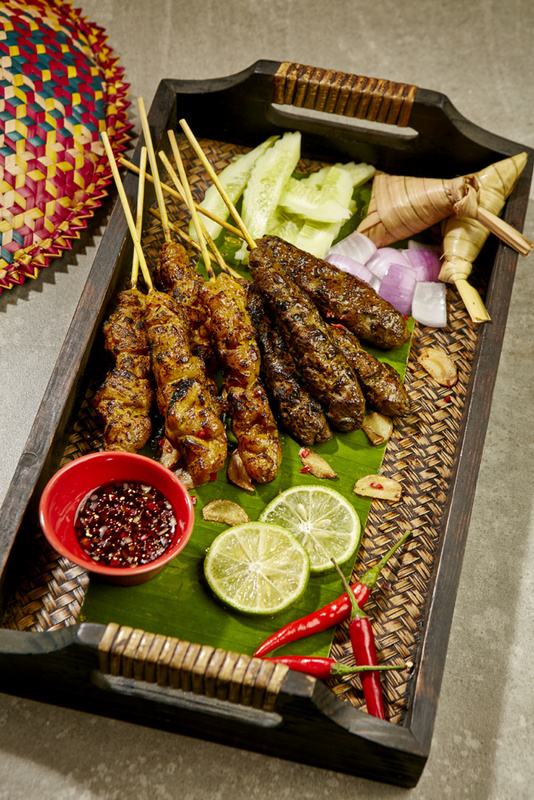 The Satay Station serves the ever so popular local favourite starter which includes beef satay and chicken satay that are seasoned, skewered and grilled to perfection over a charcoal grill! 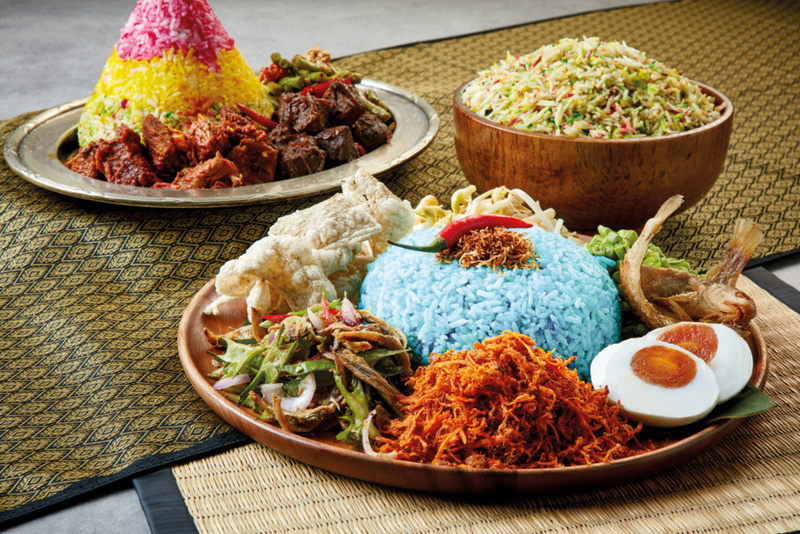 Besides the satays, the ketupat, cucumber, onion and flavourful home-made peanut sauce will also be served. 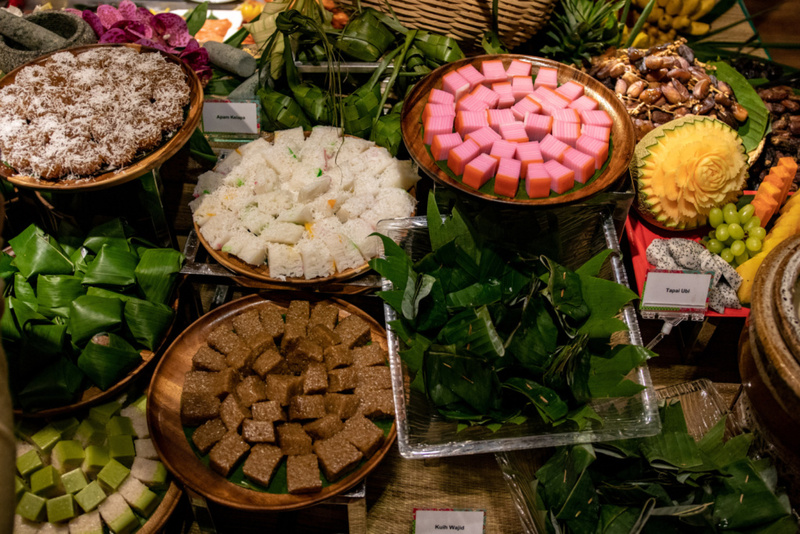 Local favourites such as kuih bingka ubi kayu, bingka labu, bingka roti and more! Everything was super scrumptious and delicious weh! 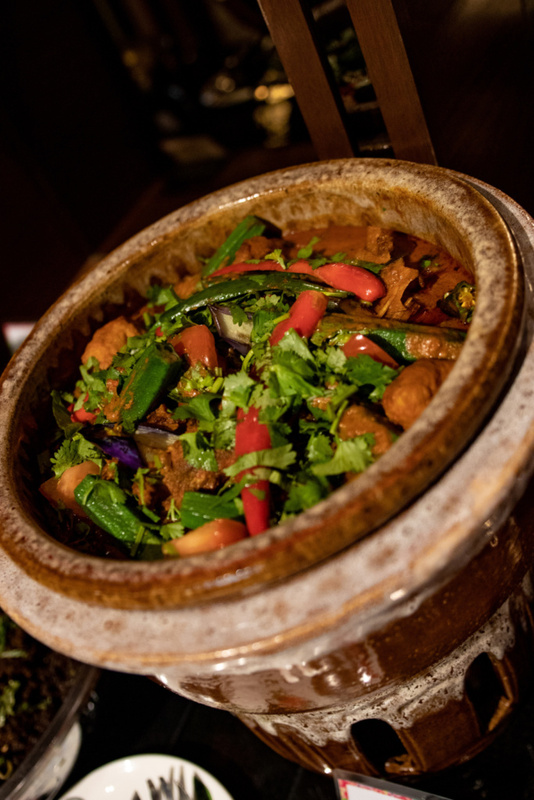 Interested to dine and have a culinary experience that is both familiar and extraordinary as we did? 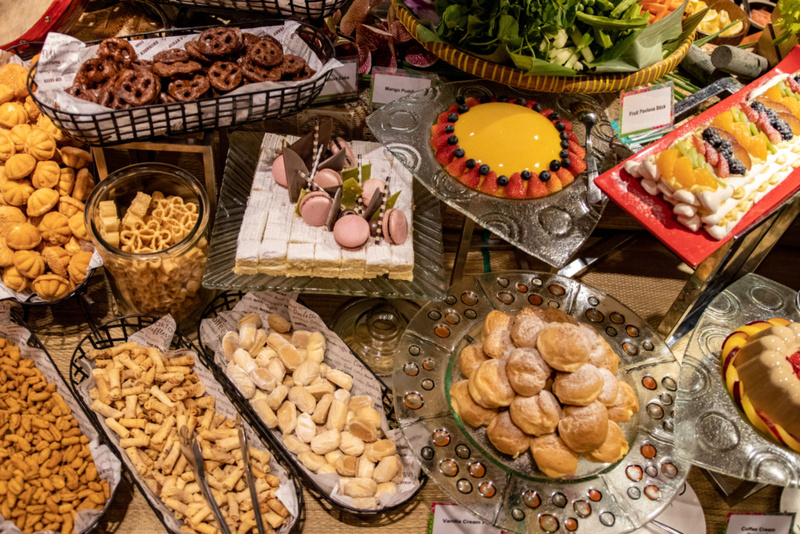 Book your seats for the Jemput Makan buffet now before 30th April to enjoy the early bird price of only RM138 nett per adult for a dine-in period between 10th and 31st May 2019! 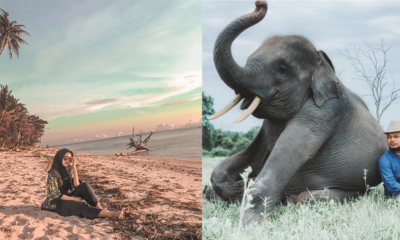 Original price is RM188 nett per adult. Better hurry up and book your seats now. 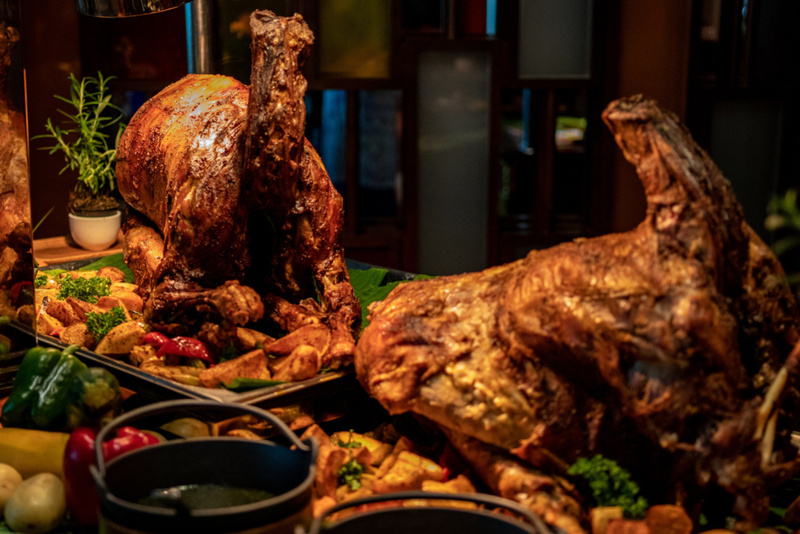 For more information on the Jemput Makan buffet and Sunway Resort Hotel and Spa, click here.